The deadly amphibian chytrid fungus has caused much devastation to Panama’s native frogs, salamanders and caecilians. We have learned a lot about this disease in the last 10 years and we have been able to take stock of its effects. A recent survey of Panamanian frog experts revealed that of Panama’s 214 described amphibian species, about 100 species can still be reliably found even in places where the chytrid fungus is found, and experts consider these species less susceptible to the fungus. Approximately 80 species are very rare, and we simply do not have any idea about their susceptibility to chytridiomycosis, or their current population numbers. 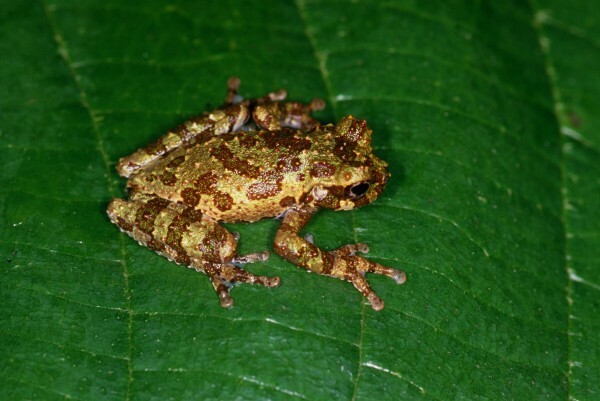 36 species were considered highly susceptible to the chytrid fungus and were once reliably encountered but have experienced, or are predicted to experience, severe chytridiomycosis-related declines. Unfortunately a number of these species have already completely disappeared in the wild and have not been seen in many years. We call these Panama’s ‘lost frogs’. These attractive diurnal frogs were appealing research subjects and occurred in high numbers in highlands on the border of Costa Rica and Panama. There are many scientific papers about this species, and they were primarily studied for their highly toxic tetradotoxins in their skin as well as their unique signaling and aggressive mating behavior. A study by Dr. Karen Lips in the las Tablas reserve of Costa Rica reports that they occurred in high numbers – up to 20 individuals seen in 100m of stream on a single visit, but the frogs experienced a severe chytridiomycosis-related decline over a 5-year period and were last seen in 1996. A pair of Atelopus chiriquiensis in amplexus. Photo (c) Marcos Guerra, Smithsonian Tropical Research Institute. This is Panama’s national amphibian, a charismatic emblem of the environment and conservation. August 14th is a dedicated national day to honor the golden frog as a symbol for Panama’s incredible biodiversity heritage. Recognizing the chytridiomycosis threat, a conservation project called Project Golden Frog established a healthy breeding colony of golden frogs at the Maryland Zoo in Baltimore, another colony is maintained in Panama at the El Valle Amphibian Conservation Center. As predicted, Panamanian golden frogs experienced severe chytridiomycosis-related declines starting in 2006, and the last confirmed observation of Panamanian golden frog in the wild was in 2009. Project Atelopus continues to survey known golden frog sites for survivors, and a detailed conservation plan has been developed by stakeholders and facilitated by the IUCN Species Survival Commission for golden frogs in Panama. The plan aims to eventually reintroduce them to the wild. This species was found in the spray zone on rocks, boulders in the Atlantic-facing slopes of Western Panama and Costa Rica. The species was last recorded from Costa Rica in 1984 rainforest. 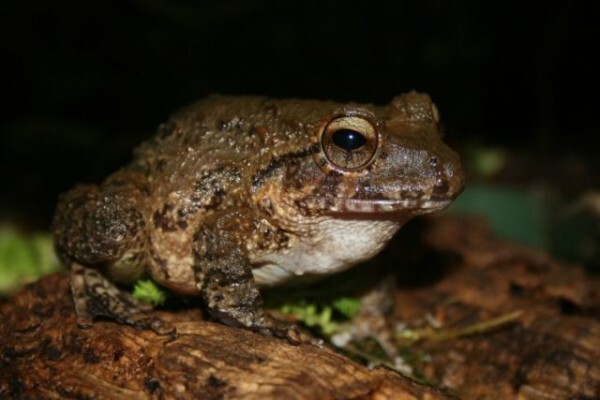 This species belongs to the Craugastor rugulosus group and all these closely related species of amphibians have all been have been decimated by the amphibian chytrid fungus. This semi aquatic species was found in mountainous streams of Central Panama. Rapid chytridiomycosis-related declines and disappearances were observed in the field in 2004-2008. This species belongs to the Craugastor rugulosus group and all these closely related species of amphibians have been decimated by the amphibian chytrid fungus. Genetic analysis revealed that it is likely a species complex. It has been maintained in captivity, and occasionally deposited eggs that were either infertile or did not develop fully and a viable captive population was not established. This species is found in premontane and lower montane southern slopes of the Talamanca Mountains of Costa Rica and western Panama. Despite extensive searches for this species in both Costa Rica and Panama, there are no recent records of this species. 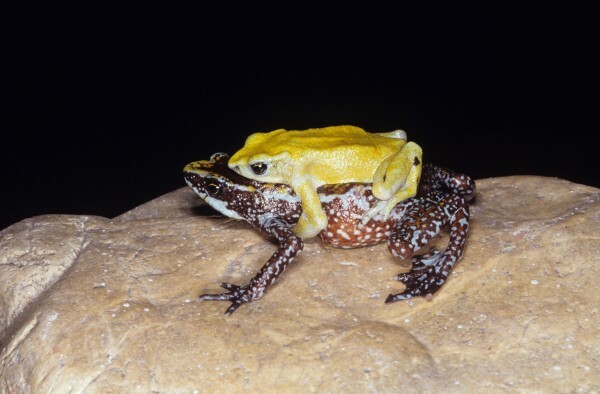 This species belongs to the Craugastor rugulosus group and all these closely related species of amphibians have all been have been decimated by the amphibian chytrid fungus. 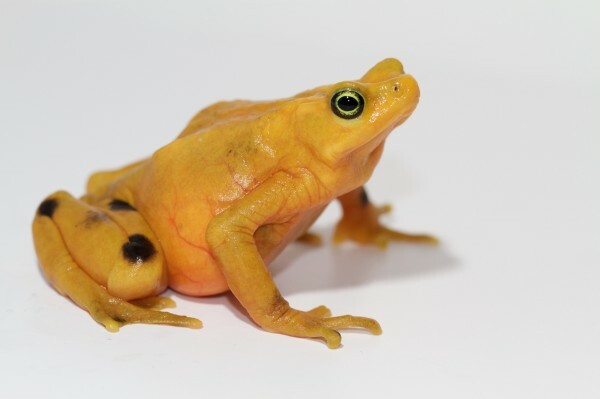 Males of this species were lemon yellow, and females were brown, the only other known toad of this genus that exhibited similar sexual dimorphism was Incilius peringelis—the famous Monte Verde Golden Toad of Costa Rica that is now extinct. Incilius majordomus is known only from the Pacific slope of Cerro Bollo, on the border between the provinces of Bocas del Toro and Chiriquí. 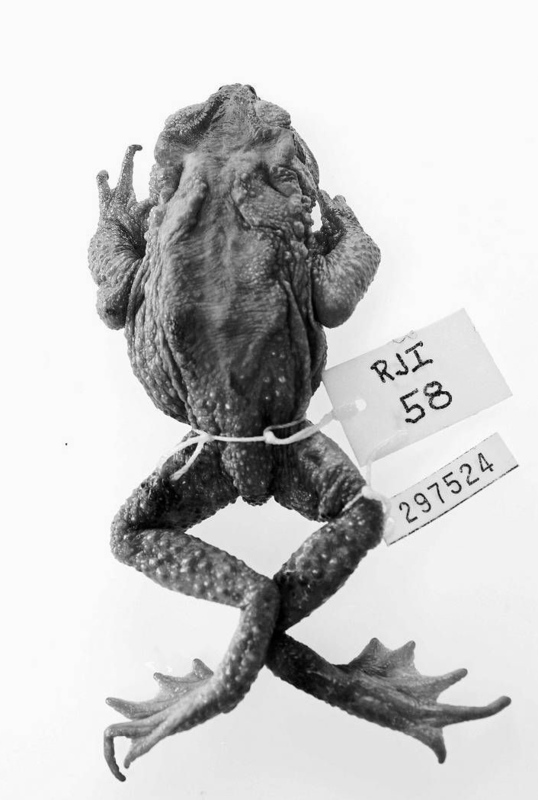 This species was described in 2013 using a series of specimens collected in 1980. It has not been seen in the wild since 1980 despite extensive herpetological surveys in the area. A treefrog frog covered with spiny tubercles found in a small mountainous area on the border of Costa Rica and Panama where is used to be locally common. 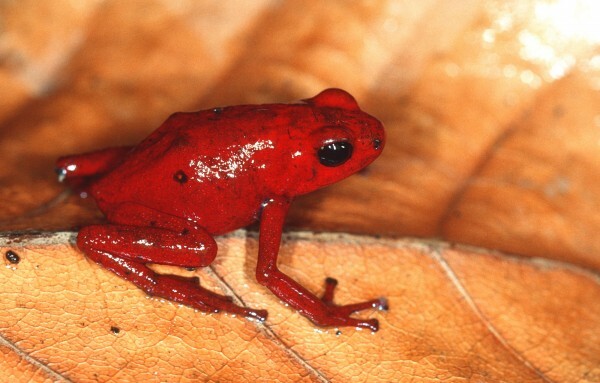 At las Tablas in Costa Rica, the species experienced severe chytridiomycosis-related declines between 1993 and 1998. Despite extensive recent survey efforts in Costa Rica and Panama, the species has not been seen recently and is possibly extinct. Many other stream breeding species in this genus have also experienced dramatic declines and are now extremely rare frogs. Isthmohyla calypsa in the wild, Photo (c) Marcos Guerra, Smithsonian Tropical Research Institute. 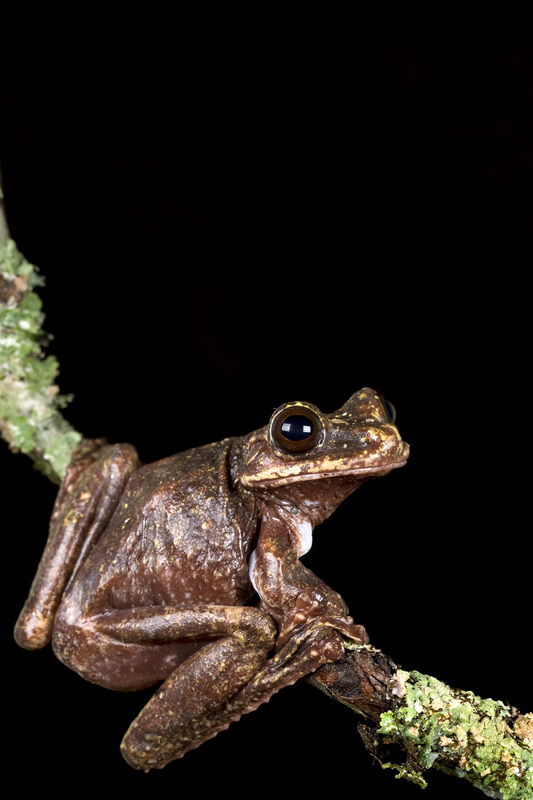 Rabbs’ treefrog is thought to be endemic to the vicinity of El Valle de Anton, where it was always a rare frog difficult to find as they live high in trees and breed in tree holes. Experienced herpetologists could hear their calls reliably at some places, but the last individual was heard in El Valle de Anton in 2008. A few individuals of this species were collected for captive breeding efforts at the El Valle Amphibian Conservation Center and at the Atlanta Botanical Gardens, but captive breeding efforts were unsuccessful. As of 2015 only a single individual persists in captivity at the Atlanta Botanical Gardens. This large, unmistakable bright red dart frog lives only in the mountains of Western Panama. It was once collected for the pet trade, and was exported as recently as 1992. This species has not been seen in the wild in many years, despite intensive searches. It is not known whether it still lives in captivity, but has probably disappeared from the wild. If you have any recent records of these missing species please let us know, and consider uploading your record to the global amphibian bioblitz on inaturalist. *WE ARE SEEKING VOLUNTEERS TO HELP TRANSLATE OCCASIONAL AMPHIBIANRESCUE.ORG WEB PAGES INTO SPANISH, IF YOU ARE WILLING TO HELP US OUT OCCASIONALLY, PLEASE EMAIL Gratwickeb[AT]si.edu FOR MORE INFORMATION. This entry was posted in biodiversity, Extinction and tagged Amphibian, Atelopus chiriquiensis, Atelopus zeteki, Conservation, Craugastor punctariolus, Ecnomiohyla rabborum, Extinct Frog, Incilius majordomus, Isthmohyla calypsa, Lost Frog, Oophaga speciosa, Panama, Panamanian Golden Frog, Photos by admin. Bookmark the permalink.